Anyway, still remember my blog post about my accessories collection? I mentioned that I wanted Grimmie's guitar pick necklace but I couldn't find it anywhere. 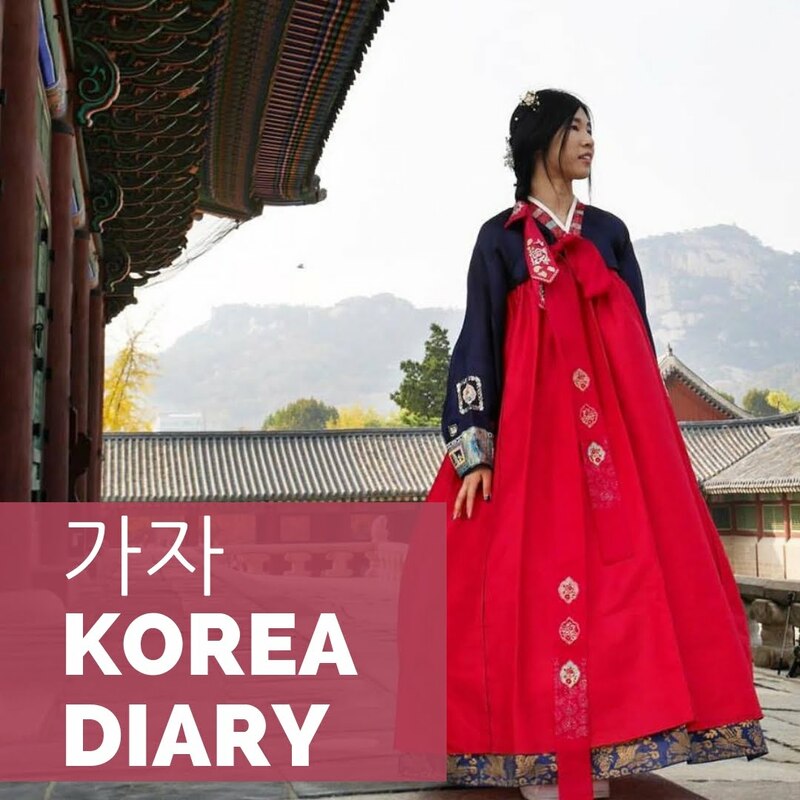 I tried searching on the web and also asked my friend to look for me in USA and Canada, but we couldn't find one that looks like hers. 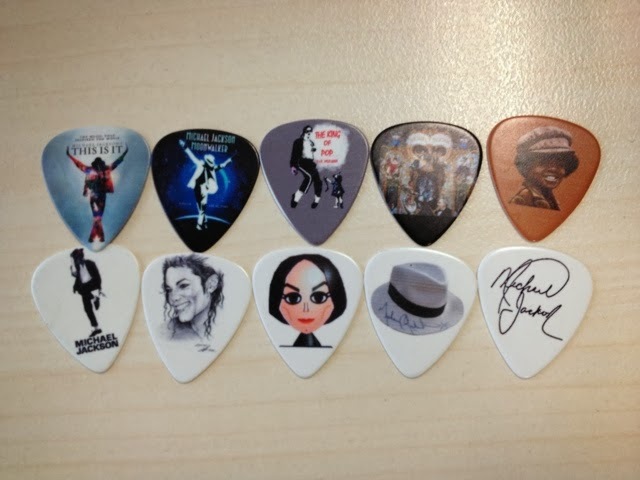 On the day of Michael Jackson's birthday, I ordered 10 guitar picks from eBay to add to my MJ collection because I thought it's been quite a while since I added more things to my collection (except for the newly purchased MJ iPhone case). 10 guitar picks for $3.80. Pretty reasonable to me. Because usually the guitar picks that I buy are at least RM1.50 or RM2. So this is totally a good buy! And what's more it's Michael Jackson for crying out loud! 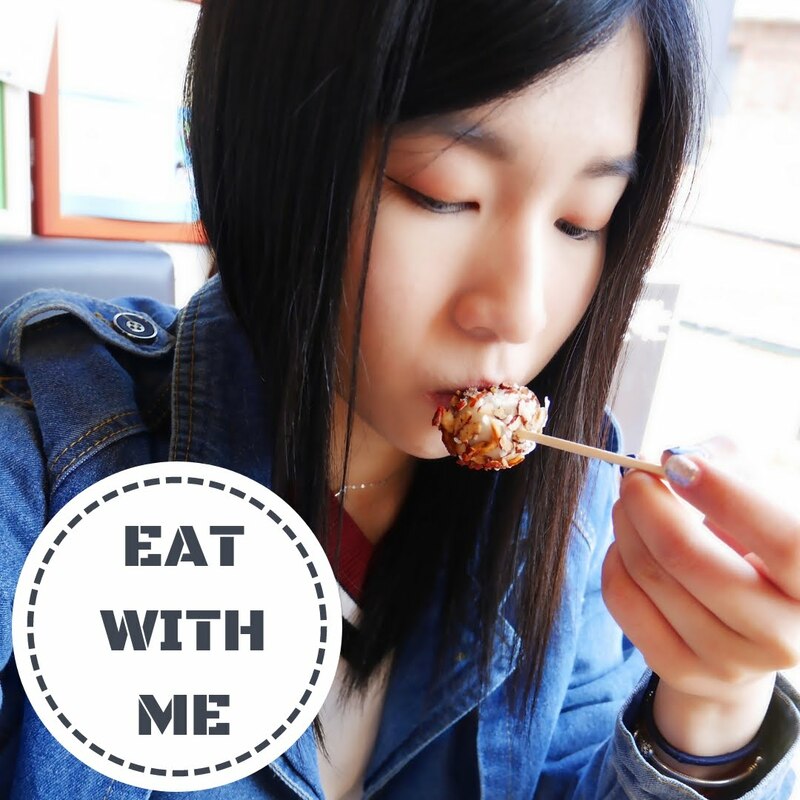 Initially I didn't have any plans to do anything with them, just merely for collection purpose. Then suddenly, an idea hit me! Instead of keeping them as collection, I decided to turn them into a necklace. So I can proudly show them off whenever I want! This is how it looks like!!!!!!!! I can't believe right now I have my own multiple guitar pick necklace! And what more can I ask for?! I handmade it myself with MICHAEL JACKSON on it!!! To make a guitar pick necklace, obviously, you need....GUITAR PICKS! Any form of guitar picks are okay for this! Do it according to your personal liking. A necklace without any charms. 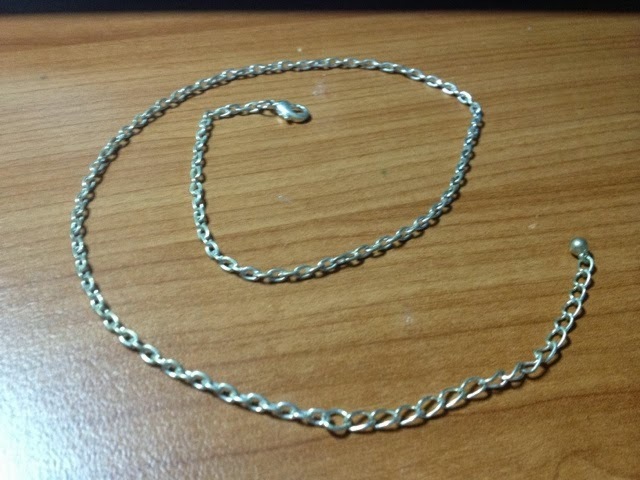 The pendant of this necklace got oxidized and I took it away, leaving behind a plain silver necklace. 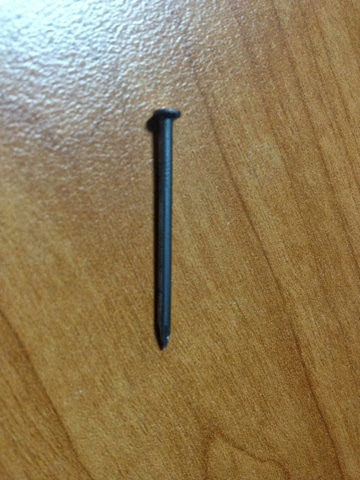 A screw to "drill" a whole on the guitar pick. In order to make a hole in the guitar pick, I would recommend this process. 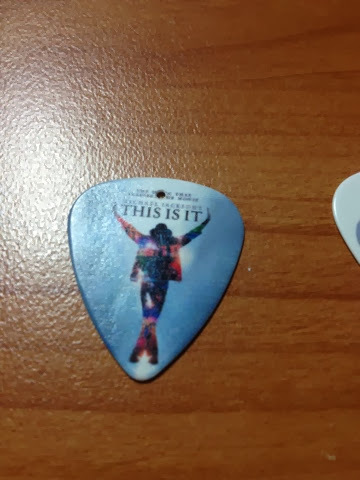 Although it's pretty time consuming, it doesn't damage the guitar pick and it ensures that the hole made is really nice. Decide which part of the pick you want the hole to be made, then hold the screw at that position. Then, slowly turn the screw in clockwise direction. It's the same concept as using a drill, just that you are doing this with you hands. Make sure you hold the guitar pick in position so the hole will come out in a perfect round shape. Keep on "drilling" until the screw finally pokes through the other side of the guitar pick. PS: Do not attempt to try hitting the screw with a hammer in order to save your energy and time because according to my guitar teacher, this attempt will cause the guitar pick to crack due to the large momentum and force exerted on a tiny pick. 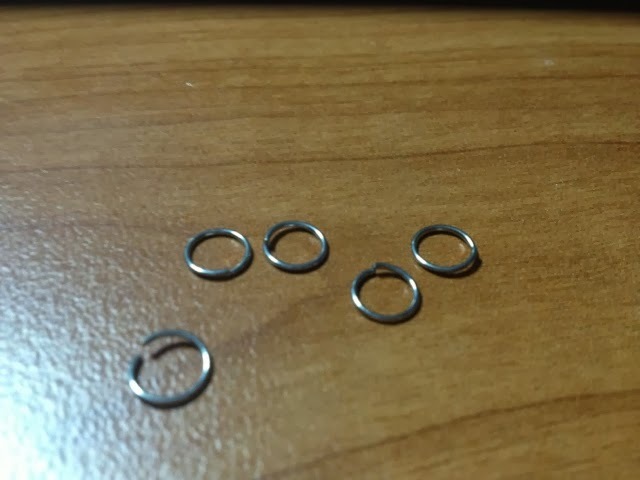 Some tiny rings which can be widely found on keychains or pendants. You get the idea of it. Put the ring through the hole of the guitar pick and then put them onto the necklace. Don't forget to tighten the ring as much as possible to prevent the guitar pick from dropping. This is how I make my Michael Jackson necklace ;) Have fun trying! 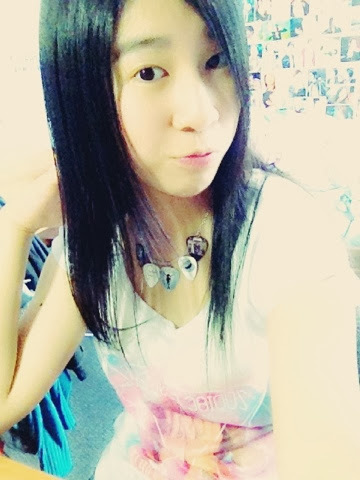 Please feel free to share with me the guitar pick necklace that you made after reading this blog post of mine HEHEHE! I hope I didn't waste my time writing a tutorial for nothing. 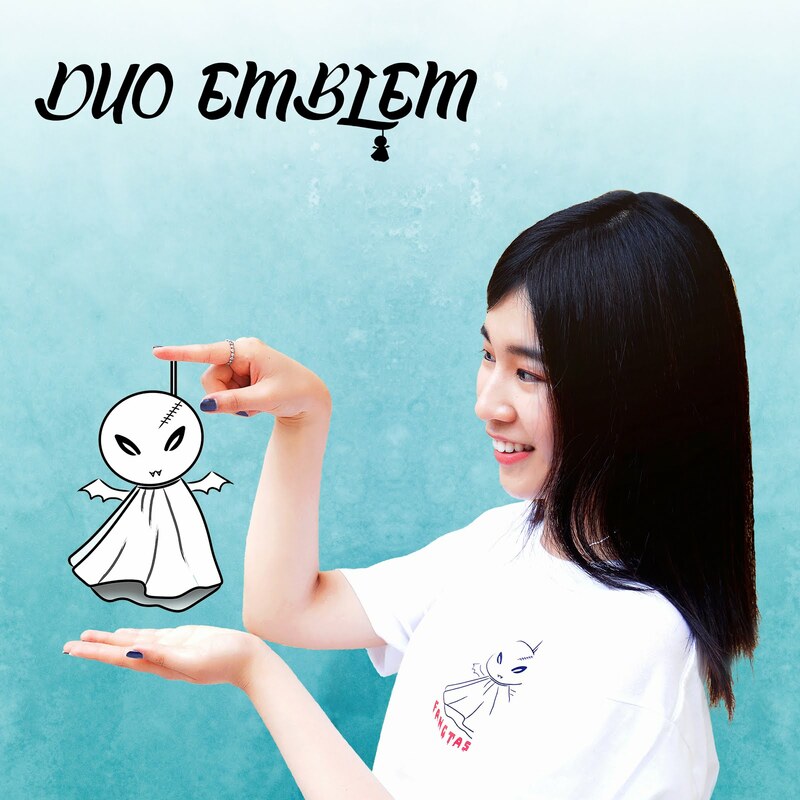 Honestly speaking, I'm bad at writing a tutorial...But oh well :p KEKE! That is such a cute idea!! 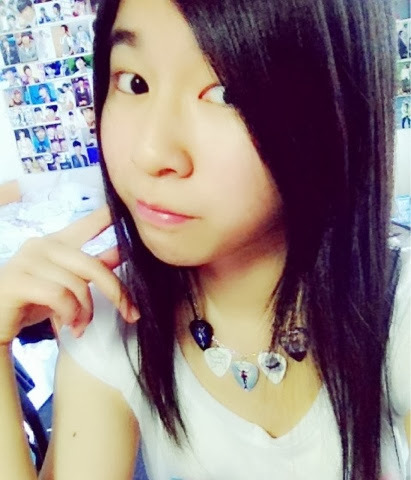 I love the result of the necklace.